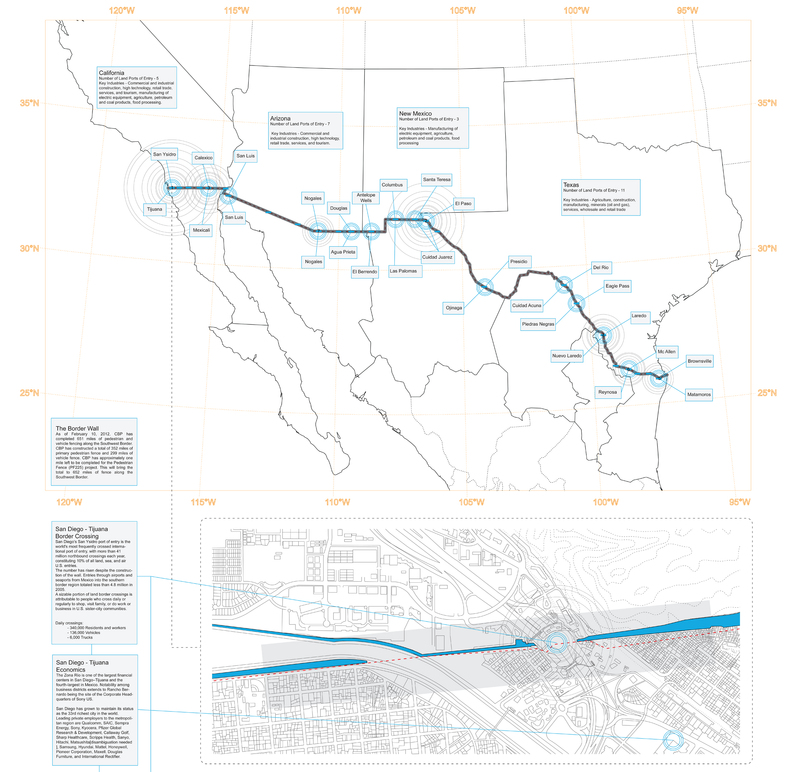 Zoned is a project that looks at the US/Mexico border as an opportunity for growth and reform. The border opens up a wide variety of opportunities that challenges conventional role of an architect. 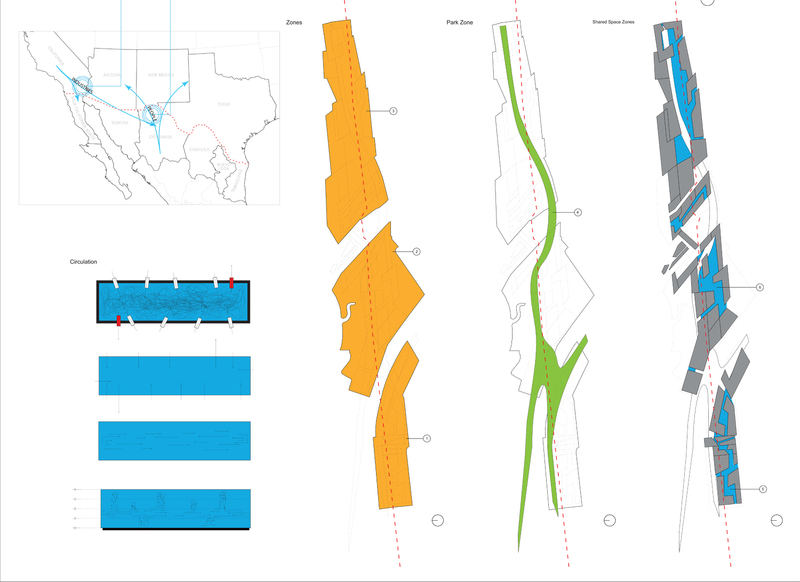 This thesis creates a zone along the US / Mexico border, which redefines the way a border is used and perceived. By replacing a built wall with a series of architectures that begin to define this new border as a set of complex ‘shared spaces’. This space which is the essential element for the connection situate itself within the existing context to give birth to a new set of conditions, ultimately creating an identity that is neither American or Mexican. When the border and immigration are discussed there are two major factors the first is the humanistic the second being socioeconomic. Projects that address a human issue requires an economic investment. 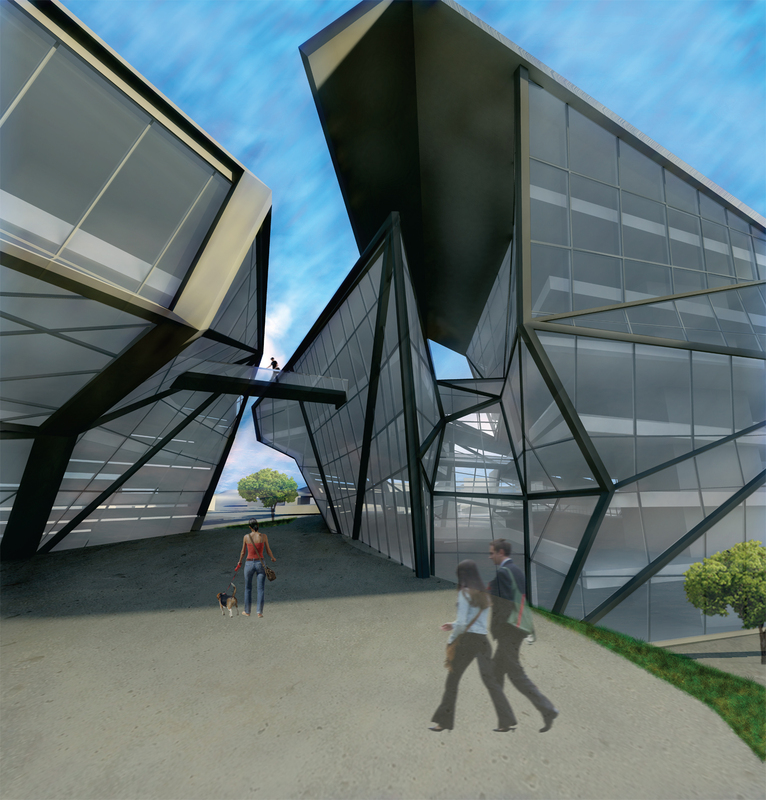 This thesis attempts to taps into existing economies to address a very human issue. The wall, through the act of defining space, creates its own problem by forming a volume of space within itself that cannot be occupied. Comparatively a border between two countries poses the same problem, but at a much larger scale. It is in the interstitial space of two countries that maybe we can find a solution to addressing the humanistic restrictions a border creates. What if we could create a shared space, a safe place, that is a built environment dedicated to addressing human issues like medical research, education, art, agriculture, and industries? This idea for the US/Mexico border is not meant to discriminate or isolate in any militaristic way and is intended to be inclusive to all. Through the study of cross border economics not only is this idea feasible but not as far-fetched as one would think. To construct a zone between countries that does not restrict and/or limit any man, woman, or child from entering based on citizenship, national origin, color, race, or religion. This territorial zone shall be free of any copyright and intellectual property and reject any law that shall restrict the progress and/or an idea towards the advancement of humanity. Analysis of the border condition as it exists today shows a trend in cross-border commerce and business. Border cities such as San Ysidro / Tijuana Mexico blur the sociopolitical line of a border, which is where architecture can be deployed. Cross border economics is producing a need to replace the conventional idea of a border with a well planned well designed solution. 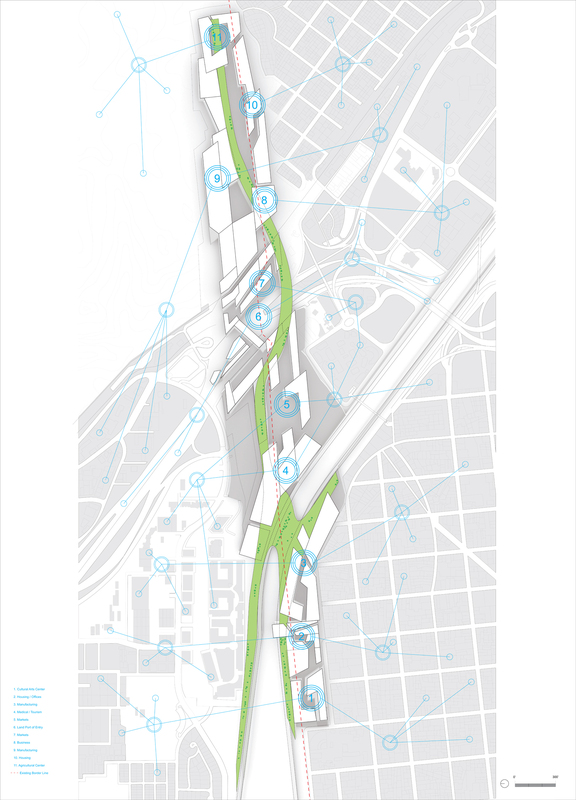 This project focuses on the Tijuana port of entry, dividing it into three zones and re-connecting it with a linear park running the length of project. The focus of these Zones are : Zone #1 Technology and Education, Zone #2 Medicine and Medical Research, and Zone #3 Manufacturing and Agriculture. Other programs within these zones include: Hospitals and Medical Clinics, Cultural Arts Centers, Higher Education and Technical Trade Schools, Low-Tech & High-Tech Manufacturing Facilities, Commerce Facilities, Hosing, and Markets. 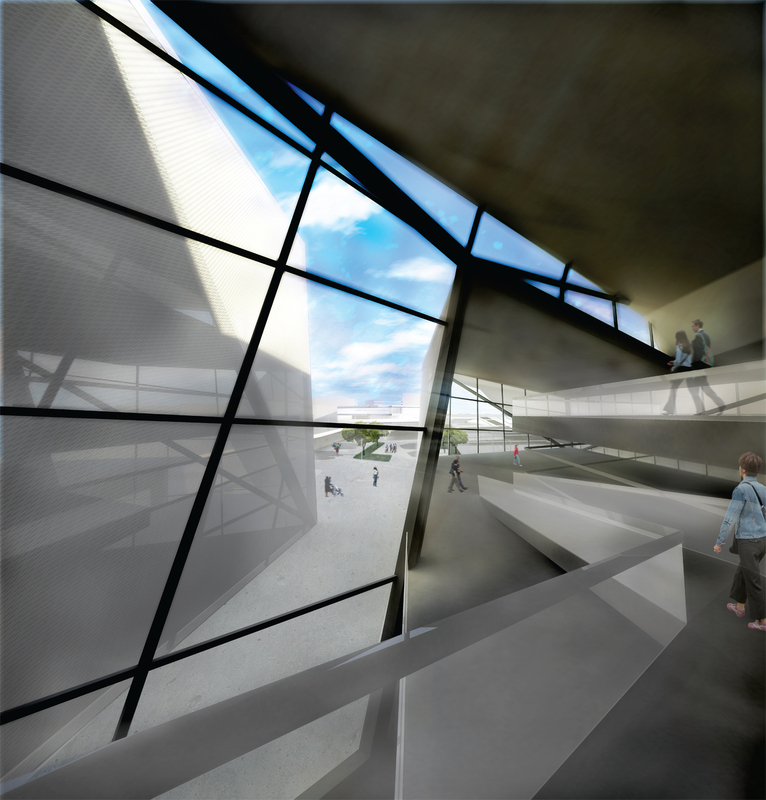 The buildings language is a reaction to the void the current board creates and activates the space once unoccupiable. The open space resembles the unity and cooperation of both the US and Mexico. 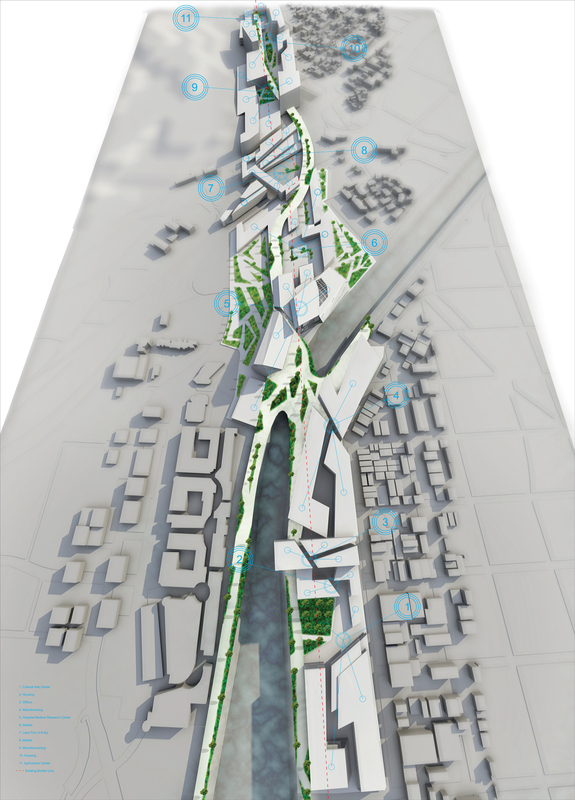 Although a project this size will take work of many architects the specific plan can guide the development and help to maintain goal of a shared space that is depoliticized. スパイダーロール, KUMO MAKI>KABUKI THEATER – Little Tokyo, LA.